Wasn't there something about an eclipse? AURANE (to the team): Ok gang, I've managed to procure us some goggles for this next fight. They are in beta testing so please make sure to fill out the survey cards after we are done and DON'T stare directly at the floor until we reach full eclipse or you'll burn your eyes out, savvy? BOSS MAN SHAMAN: A little harsh don't you think? AURANE: Do you want to pay the medical bills when the team goes blind? BOSS MAN SHAMAN: Ok, fair point, but I have another concern. BOSS MAN SHAMAN: Goblin Engineers? AURANE: Look, they aren't that bad. I told them I'd do them a favor in exchange for the goggles. They've been trying to break back into the Alliance market ever since that unfortunate Theramore incident. I warned them officially signing with the Horde was going to be bad for profits. Don't worry boss, everything will be fine. BOSS MAN SHAMAN: If you're sure. I've never experienced anything like that! I can't believe how cold it got when it was at full eclipse. That was the most magical thing. BOSS MAN SHAMAN: So what did you think of the eclipse, Aurane? AURANE: It was ok, I guess. I didn't get much of a chance to enjoy it with all the running around and healing and, well, you know, trying to keep the team alive. 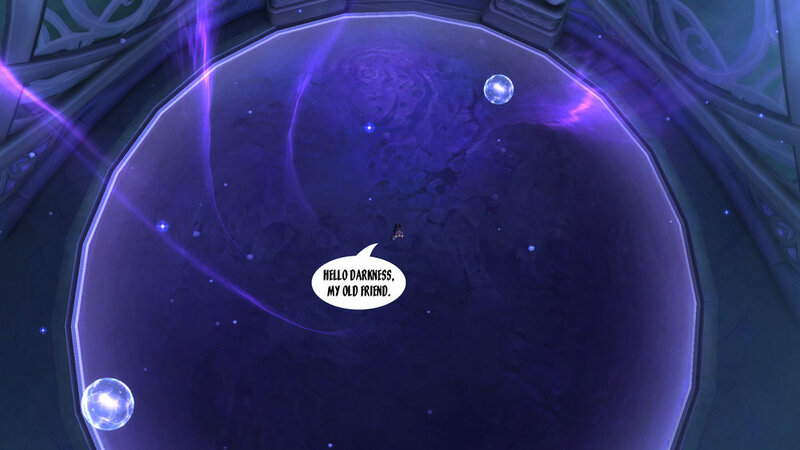 BOSS MAN SHAMAN: What if I told you the room will have another eclipse shortly? And there will be no Sisters to have to worry about this time. 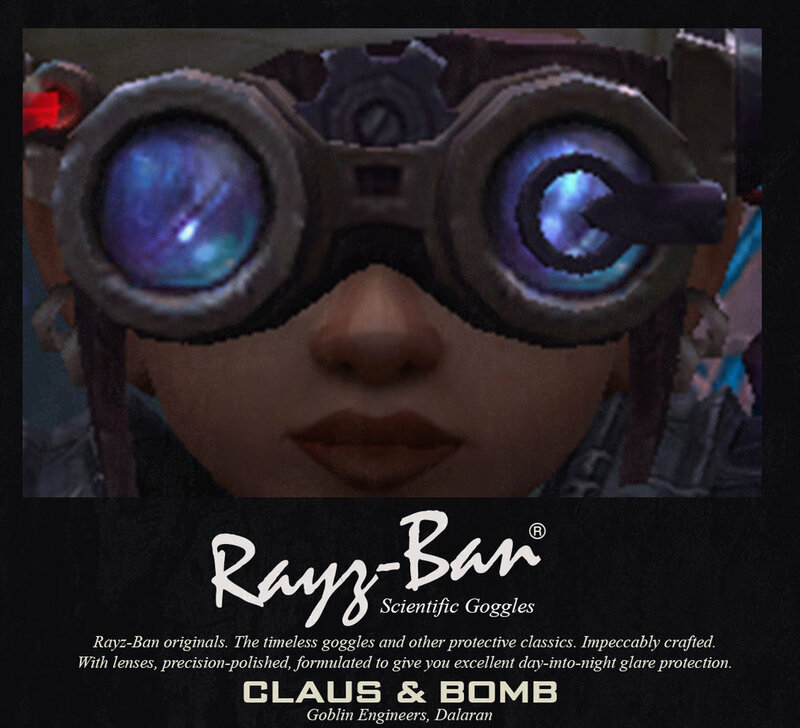 tags / world of warcraft, legion, convert to raid, aerie peak, tomb of sargeras, sisters of the moon, eclipse mania, rayz-ban, goblin engineering, ze goggles! zey do nuffink!